SpaceX has conducted a Static Fire test on a Falcon 9 rocket Thursday, a key milestone ahead of the rocket’s first launch of a U.S. Air Force X-37B spaceplane for the OTV-5 mission. 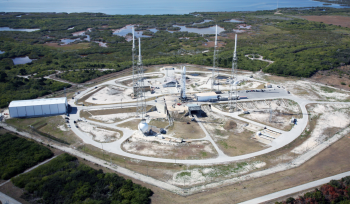 The secret military spacecraft is set to launch from Kennedy Space Center’s Pad 39A on the morning of September 7 in what is likely to be – though not yet confirmed – the final mission off Pad-A prior to the resumption of flight operations at neighboring SLC-40. The latest launch campaign from SpaceX follows hot on the heels of the successful lofting of the Formosat-5 satellite from Vandenberg Air Force Base in California. Formosat-5 was the twelfth launch of the year for SpaceX and the Falcon 9 and came less than a fortnight after the rocket’s previous launch from Florida’s Kennedy Space Center. While SpaceX’s launch cadence continues to show a positive trend, the safe return of first stage boosters is also achieving a run of successes. 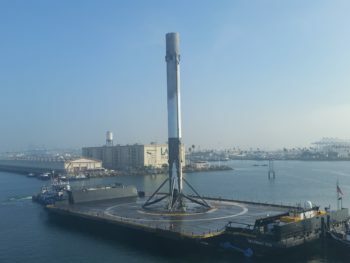 With B1038.1 arriving back in California at the Port of Los Angeles on the deck of the “Just Read The Instructions” drone ship, SpaceX has now returned six boosters to land and 10 at sea. Notably, sea landings on the ASDS (Autonomous Spaceport Drone Ship) fleet are deemed to be more challenging than a return to the LZ-1 landing pad – with SpaceX at first expecting to lose up to a third of the boosters attempting drone ship returns. For OTV-5, its booster B1040, will target a return to LZ-1, a landing site that is being modified for the simultaneous return of two boosters during the maiden flight of the Falcon Heavy later this year, with FH’s core booster aiming for a drone ship landing. Moreover, the intersection of OTV-5’s launch with SpaceX’s future goals not only include LZ-1 but also LC-39A as well. 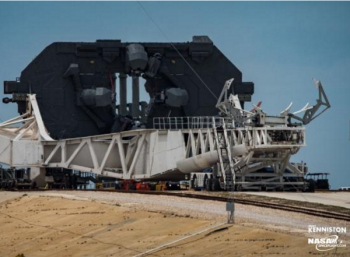 Currently, OTV-5 may very likely be the final mission to launch from Pad-A before the pad is taken offline for a final round of modifications to the pad and its Ground Support Equipment (GSE) for the aforementioned Falcon Heavy debut. Whether OTV-5 is indeed the last mission off 39A before these modifications is dependent solely on the readiness of SLC-40 at Cape Canaveral, which is being prepared to host its first Falcon 9 since suffering extensive damage during the loss of a rocket that was conducting a Static Fire test with the Amos-6 satellite almost a year ago to the day. The decision on when to switch back to SLC-40 for the immediate future is pending and unlikely to be revealed until after the successful launch of OTV-5 – although L2 Cape schedules are yet to allocate a pad to the SES-11 flight, which is increasingly likely to be the mission that marks SLC-40’s return. 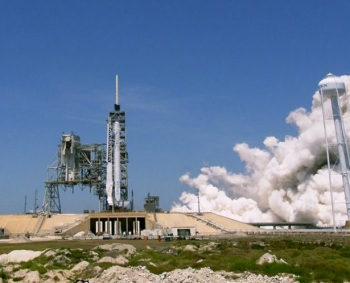 However, a release on Thursday from SpaceX classed the October mission as from 39A. However, all focus is currently on the OTV-5 mission, with the Falcon 9 rocket rolled out and erected at 39A on Thursday morning for its customary Static Fire. With a test window that opened midday local time, teams required extra time to work through the countdown milestones. The test fire T-0 was deep into a six hour window that closes at 18:00 EDT. The Static Fire test validates the health of the launch vehicle, allowing SpaceX management to approve the final flow to launch day. Numerous requirements have to be successfully proven via such a test, including engine ignition and shut down commands – which have to operate as designed – and the Merlin 1D engines’ performances during start-up. The test also serves as a full dress rehearsal for the launch team and provides another test of SpaceX’s recent upgrade to a supercooled propellant pad systems. Following a successful test and collection of engine and vehicle data, detanking operations follow before the rocket is lowered onto the Transporter Erector (TE) and rolled back to the Horizontal Integration Facility (HIF) hanger. The Static Fire’s data review will then be fed into the Launch Readiness Review (LRR) – a key meeting that will ultimately confirm the launch date, which is currently aiming for a several hour window that opens during the morning of September 7. A specific window has not yet been released, likely due to the military nature of this mission involving the secretive X-37B spaceplane, which is making its first flight with a Falcon 9. 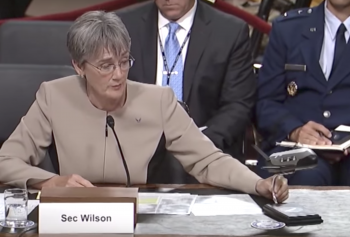 The award of this mission to SpaceX was quite a surprise to observers given all four previous X-37B missions were taken to space by a United Launch Alliance (ULA) Atlas V rocket. The award is seen as a validation of SpaceX’s progress with its Block 4 and Block 5 variants of the Falcon 9. OTV-5’s rocket is a Block 4 Falcon 9. While the Block 4 and 5 upgrades are designed in part to help SpaceX secure U.S. government contracts as well as to launch U.S. astronauts for NASA as part of the Commercial Crew Program, the X-37B – a critical U.S. military asset – is crucial to SpaceX’s goal of proliferating throughout the launch market and introducing low-cost, reliable, and rapid access to space to all potential customers.